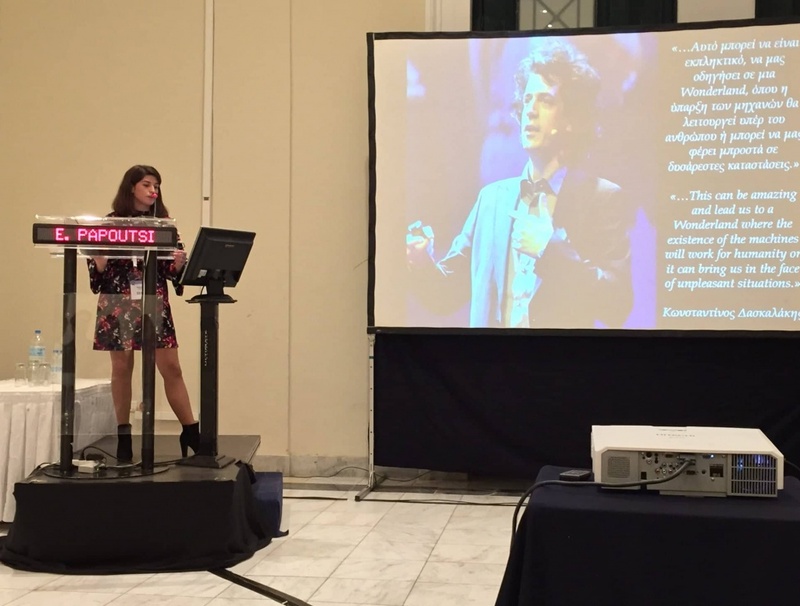 During the Athens Crossroad (12th Congress of the Hellenic Society of Thoracic & Cardiovascular Surgeons), which was held on November 8-10, 2018, in Zappeion Megaron Hall of Athens, a roundtable session and a series of presentations were organized, under the theme “Artificial Intelligence”. 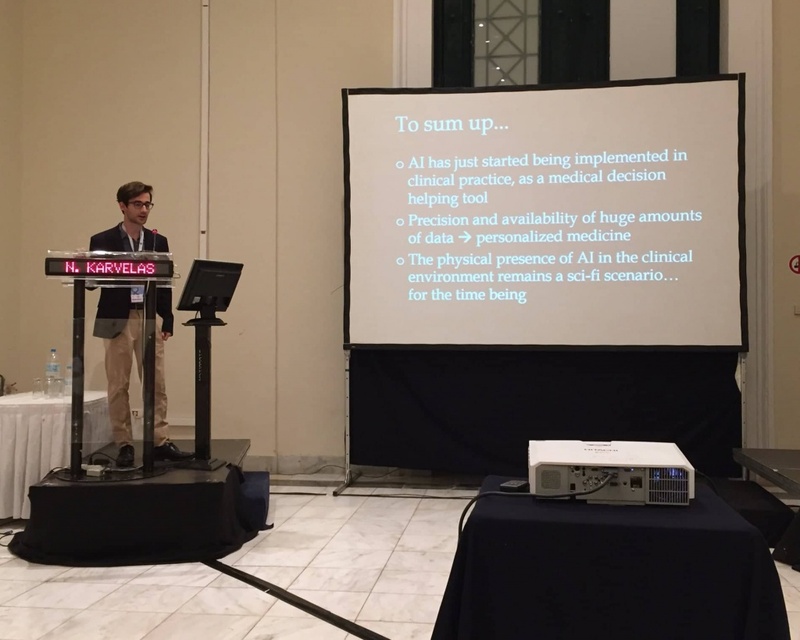 Two undergraduate students of the School of ECE NTUA, Diana Voutyrakou and Ioannis Daras as well as two undergraduate students of the School of Medicine, Eleni Papoutsi and Nikolaos Karvelas, presented the latest applications regarding the implementation of Artificial Intelligence on the field of Medicine. Their presentations were supervised by Prof. G. Stamou. 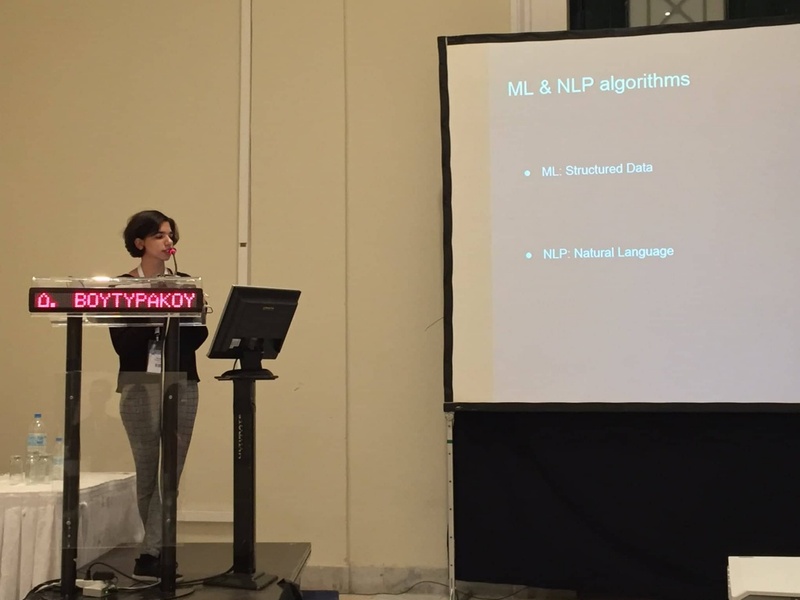 The students of ECE NTUA explained the subject of Artificial Intelligence (AI) and Machine Learning (ML) and how they can be applied in Healthcare. Specifically, they analyzed use cases of Natural Language Processing (NLP) algorithms as well as Brain Computer Interfaces (BCI) techniques. Moreover, they highlighted the importance of Deep Learning Architectures for Image Processing in medicine. They emphasized on training artificial neural networks to be used on the Biomedical Field and presented a review analysis of the implementation of Artificial Intelligence in Medicine and its future improvements (up to 2030).